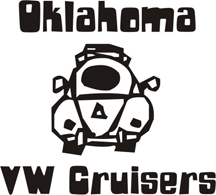 Make plans to join us for the Choctaw Oktoberfest German Car Show, Saturday September 11th. Classes for BMW, Mini, Mercedes Benz, Porsche, VW & Audi. After growing Oktoberfest at the Old Germany Restaurant, the festival now in its 20th year, will again be held in the Choctaw city park, just west of Choctaw Road on NE 23rd Street/Highway 62. The food and Bier selections will however remain the same. See the Old Germany website, www.oldgermany.com for additional Oktoberfest details and a map of the location. The address is 1900 Harper St. in Choctaw at the Choctaw Creek Park. The $10/car entry fee entitles you to a T-shirt. Voting for the Austin Weisman People's Choice Trophy will again be done by making financial contributions into the containers by the cars. The contributions and all entry fees are charitable tax deductible contributions to benefit the two charities supported by our late former President Austin Weisman, the Red Andrews Holiday Dinner in OKC and the Iron Gate Relief Mission in Tulsa. Set up and placement of the cars is requested beginning at 1pm, with the hopes of having cars in place by 2pm. Judging is to start at 4pm. Trophies and awards will be announced at the 6pm band break. Advance registration by phone or email is requested. Looks like the weather will hold! Who do we contact to register for the show? Registration is Day of show at the park. See you all at 1! We almost beat the BMWs. 8 VW at my count. And half of the total trophies went to VWs. Most Modified, People's Choice, Most Original, Best VW. Only non make specific category that wasn't won by a VW was highest mileage. Show also raised over $400 fo charity. Let's see if I can remember them all --- Luke (vwlimoguy) won Peoples Choice, Rick (Blue and white 23 window) won Most Original, Yellow Ghia won Best Ghia (I think), and I won Most Modified.